Having moved into our newly built home in July 2005, we started to investigate installing a pool. We first contact Shelin pools in late August for a site visit and light conversation. With there outstanding history and knowledge they were the overwhelming winner for our business. In spring of 2006 they arrived as promised ready for work, and a couple of days later our salt water pool was installed, site cleaned up and ready for wood deck installation. The work crew were very polite and fully aware we had young children with hearing range of there conversations. Everything was explained in detail on the operation of pool equipment and maintenance. My wife and I could have been more comfortable with our purchase. For the last 9 yrs we have had VERY little work completed to maintain our pool. Visiting there Kingston store for regular water testing and supplies makes it a pleasure owning a pool, there expertise in this business is second to none. First class all the way. We highly recommend Shelin Pools for expertise, fairness and outstanding support you want in such a large purchase like this. Well Done Shelin pools ! We used Shelin Pools for an on-ground 30 x 16 pool. We booked in the fall for a spring install, they showed up to install the exact day we booked in for 8 months earlier. Great bunch of guys & entire process stayed on time/budget. Anthony is very helpful at Kingston store to this day as I go in for supply’s & the odd question. 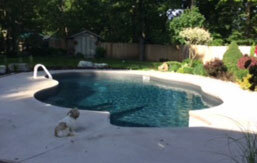 I have highly recommended Shelin Pools & a few friends have used them since, & they were also very satisfied. Our family loves our pool! If you are reading then you must be browsing the web-site for Shelin Pools. You're most likely checking out the site because you are thinking of installing one of either, a new in- ground, an above ground, or an on-ground pool. In furtherance, if you are like most people you have been doing your homework, and have been cross checking sites before making first contact and then making a financial commitment, I it, we all like to save money. Don't go any further with you(search. installed an above ground salt water pool, almost 10 years ago. We did the research, checked out the different pool companies and their suppliers, and quite by accident we discovered Shelin Pools. We had the owner of the company come over and give a clear direction of what could and could not be done, he advised us to the permits required, an gave us a start date. The pool went there was no grief, and every year since, I have dealt with Anthony's crew. Anthony and his crew are informative and very competent. I have been treated very well, and felt good every time I left business. Why would you want to feel any other way? Try them, you'll see. I have been with Shelin Pools since it's inception in 1980. Service was great from the first day of doing business and has steadily improved over the years. Amy and her staff are always quick to respond to any needs for our pool and hot tub. Their product knowledge allows me to have state of the art cleaning equipment and chemicals to keep both our pool and hot tub in pristine shape. We decided to get a pool for our growing family in September 2015. Over the years I have only heard good things about Shelin Pools, therefore our only call was to them for a pool - we did not 'shop' around. We met with Anthony and he was very friendly, honest and professional during our meeting for our quote.The day of the install the workers were very friendly, efficient and professional. They did not leave until all our questions were answered on how to get started with our pool. 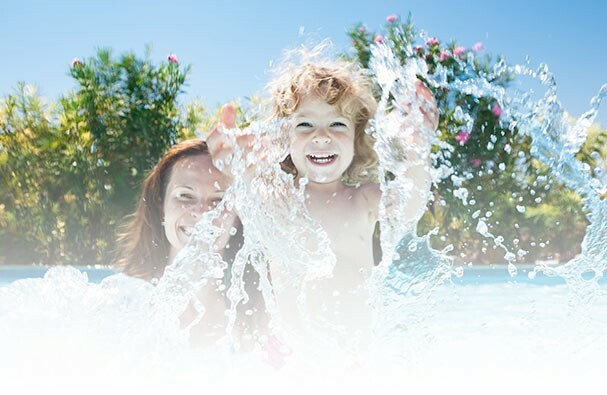 What is so great about Shelin Pools is they are always available for any questions even after install - you are not left hanging wondering if you are doing something wrong when adding in chemicals etc. With no doubt Shelin Pools is a fantastic company and we are so happy to have a pool to enjoy for many years to come and we couldn't be more happier with the quality and service they provide! My pool was opened this morning. Just wanted to pass on my compliments on the friendly and courteous way the two guys operated, despite being a damp, dreary morning. I didn't get their names, but I'm sure you can figure it out. Just wanted you to see the finished pool and let you know how pleased we are with how it all turned out. So happy we got the install last fall as we have been swimming since May 11. Everything is working well as we get to know how to care for the new beauty. Thanks to you and all your great crew for a job well done. You are welcome to drop by anytime if you want to see it in person.